May 9 a day of Victory in Great Patriotic War (WWII), 1941-1945. 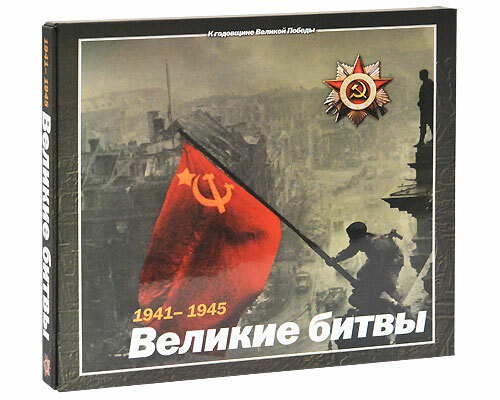 - RUSSIAN BOOKS Review RUSSIAN BOOKS Review: May 9 a day of Victory in Great Patriotic War (WWII), 1941-1945. May 9 a day of Victory in Great Patriotic War (WWII), 1941-1945. May 9 holiday in Russia - a day of Victory in Great Patriotic War (WWII), 1941-1945. In April 1945, Soviet troops came close to Berlin, May 9 from 00:00 Moscow time, entered into force an unconditional surrender of Germany. About this war a lot to make a film, written books and the stories of eyewitnesses. In those days before praznovaniem 65 anniversary of the Victory on the screens of Russian television broadcasts through the cycles on this event. 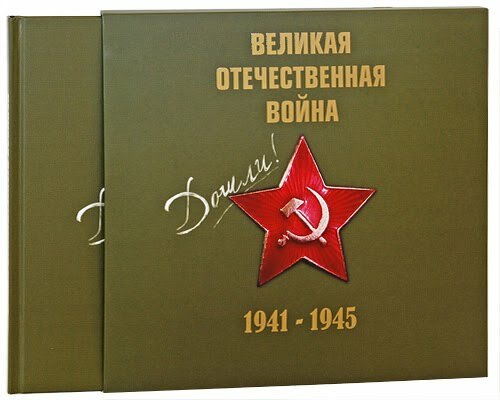 Today I would like to introduce you to the wonderful books prepared for this anniversary date - 65 th anniversary of the Victory. 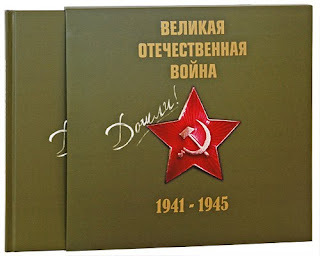 In 2010, 65 years old, our victory in World War II and the first would like to present the book "The Great Patriotic War 1941-1945" published by Feniks (Rostov-on-Don). The term "Great Patriotic War" exists only in the former Soviet Union, and for the rest of the world was a World War II, and was that part of it, which took place in the territory of the Soviet Union. The Great Patriotic War, indeed, was only part of the global battle, but part of the main and decisive - in whatever light is not represented now merits of our ordinary soldiers and marshals some westerners, liberals. Veteran member of the war left little but exploit their vast and contribution to the world - is invaluable! The book includes a set of historical gift items: stamps, letters, bills, coins, badges, etc. Also the book is attached CD-ROM, which contains the speeches of leaders. The next book prepared for the anniversary is the book "1418 Days of the Great Patriotic War". 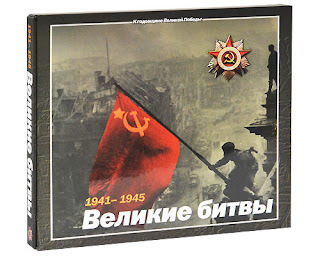 The book chronologically documented the major events of the Great Patriotic War, which occurred on the territory of the USSR and adjacent countries occupied by Nazi Germany in the period from its treacherous attack on the USSR and to a victorious May 1945, defensive and offensive operations of the Red Army and partisans, recovery and glow of the national struggle against the invaders. The book "1941-1945. Great Battle" describes the most significant battles of the period of 1941-1945, has radically affected the outcome of the Great Patriotic War in particular and the Second World War in general. Trying to most clearly and fully cover the events of those years and to transfer acute events described in the book enclosed interesting and rare archival materials, such as secret military orders, the Nazi propaganda announcements, military posters, certificates and coupons from the siege of Leningrad, as well as many others. 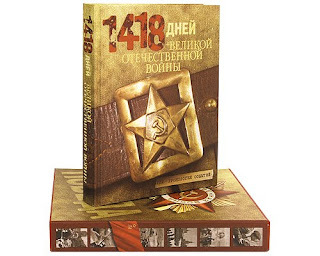 The book "1941-1945. Great Battle" will not only be an excellent gift for veterans, but will certainly be interesting to people who study the history of the war, because it contains many photographs, maps and descriptions of sign of military operations.